Over the last week in Texas animal rescuers have raced to save dogs, cats, horses, donkeys, pigs, deer, steer, guinea pigs and more from floodwaters after Hurricane Harvey. One of the hardest hit areas is Beaumont. Hundreds of animals were stranded, some up to their necks in water, others were perched on rooftops as water rose around them. Groups like The Cajun Navy and Safe K9 Transports made harrowing and daring rescues to save as many as they could. When the boats returned filled with animals, rescuers set up a make-shift shelter at the Ford Center in Beaumont. This became a staging area for these displaced pets. Volunteers brought crates and food. Rescue groups and vets raced in medical supplies and used their expertise to help the animals. 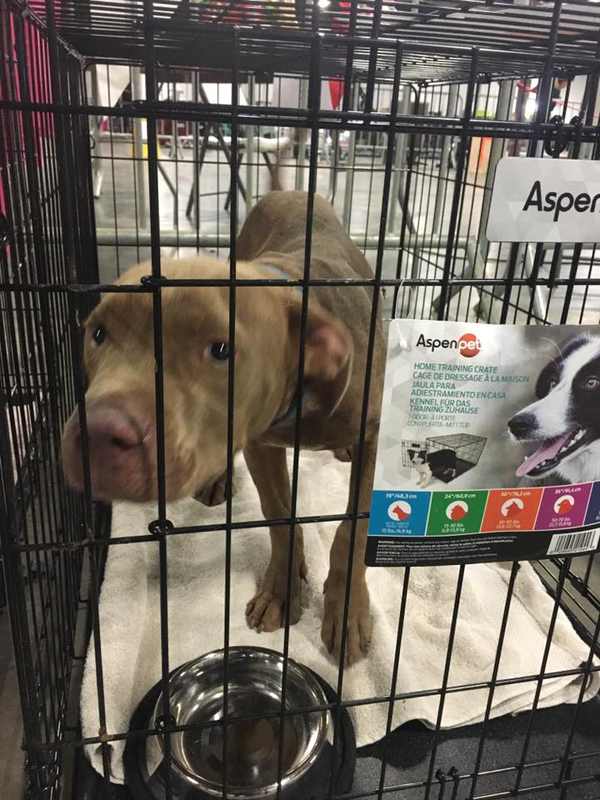 Over this weekend the Houston SPCA took over running the Ford Center operations. Since the SPCA team started there have been multiple Facebook and social media posts making various claims about animals being immediately euthanized. Best Friends Animal Society posted concerns about the Houston SPCA's policies about pit bulls. Austin Pets Alive is now echoing those concerns. The SPCA flatly refuted these claims. The agency's Facebook page says the organization is, "the subject of a vicious and false rumor that claims that we are euthanizing the very animals we are currently rescuing. This is unequivocally false. Our teams on are on the ground working tirelessly to rescue, care for and reunite pets with owners displaced by this catastrophe." To better understand what the SPCA's policies and strategies are, and to provide clarification for those who have questions, Watchdog Mary asked the agency to do an interview on Sunday. The SCPA media relations representative agreed to speak Monday morning. Watchdog Mary sent a list of detailed questions to the SPCA Sunday night, so they could prepare ahead of time. What is your plan for the animals you have taken in who are displaced due to the hurricane and floods? How did the Houston SPCA become involved with the animals rescued from floodwaters and being held at the Ford Center in Beaumont? What are the terms of the contract? May I have a copy? Were vets, vet techs, assistants, etc. asked to sign any waivers or confidentiality agreements to work in the Ford Center? Or for your organization? Will ID numbers be assigned to all animals who are at the Ford Center and taken into your organization with pictures and information? Will these lists be public so people can search for lost animals? There have been a lot of posts and claims on social media saying the Houston SPCA came to the Ford Center in Beaumont this weekend and immediately started euthanizing some animals. What exactly happened? How many animals have been euthanized since the start of the storm? What kind of animals? And what was the reason for euthanization? Best Friends Animal Society has a post online and petition saying the organization is concerned about your pit bull policy. Now Austin Pets Alive is also saying their organization is concerned. What is your response to their concerns? Will the Houston SPCA commit to Best Friend's request for a life saving guarantee? Before the hurricane, what was your pit bull policy? Does the Houston SPCA take in and adopt out pit bulls? What will happen to the animals held for 30 days if no one claims them? And does that apply to pit bulls? This is a picture of a dog named "Aspen." The picture was taken at the Ford Center. Volunteers say he is no longer there. Can you tell me what happened to Aspen? Where is he now? How can owners reclaim their pets? Does the Houston SPCA publish monthly or annual reports which lists the number of types of animals taken in by your organization and the final disposition of those animals? For example numbers adopted, numbers transferred to rescue groups, numbers in foster care, numbers euthanized and why? What kinds of supplies and donations can you use now? Do you need volunteers in your shelter facility or at the Ford Center in Beaumont? 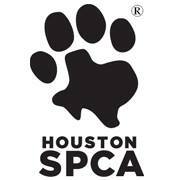 Have volunteers not affiliated with the Houston SPCA been asked to leave the Ford Center? On Monday morning, at the agreed upon time the phone conversation was to take place, the Houston SPCA's press person sent Watchdog Mary this email. "Thank you for the opportunity to clear the viciously false accusations that have been made about our non-profit organization. It’s unfortunate that rumors and threats have been used on social media and emails towards us, but we will remain diligent and focused on our mission. We sincerely appreciate the outpouring of support from in and around the community. This week we have welcomed nearly a dozen volunteer organizations from around the country who arrived ready to focus on what matters: rescuing, caring for and reuniting animals. Although the Houston SPCA has been given the official mandate to coordinate the temporary shelter at the Ford Center, we believe we all must work together. At the end of the day, we are all working towards one mission: getting animals back to their original families. As Houston’s oldest and largest animal welfare organization, the Houston SPCA’s search and rescue mission continues in various catastrophic disaster areas around our city and greater Houston area. Thanks again for the opportunity for us to share our concerns as well." "I understand you are busy, but I sent you over a list and very detailed questions that I would like answers to please. I would hate to say you would not answer. I really think it's important to clear up a lot of the hysteria that is out there. I can use the statement you just sent me but I am going to say, 'here is a list of questions I asked the SPCA and they did not answer.' We also had agreed to speak at 9:30 AM CT today." "Unfortunately, I cannot take the call- our schedule is so fluid – apologies!" That is where the situation stands now. There are a lot of unanswered questions. Does that mean everyone should believe the hysterical posts on social media? No. But Best Friends Animal Society, Austin Pets Alive, and now Watchdog Mary are all asking questions, and waiting for a response. In this video, taken Sunday, by Sheri Haynes, at the Ford Center, she observes many pit bulls being taken care of and in good shape. Matt Montes, from Mission Miracle K9, also took similar video at the Ford Center on Sunday. Watchdog Mary will continue to try to get answers and will update information as it becomes available. For information about how other Texas shelter and rescues are handling animals found after the hurricane, please read Watchdog Mary's shelter survey.